The Conference Cluster 2018 will be held in the ancient Russian city of Suzdal, which is rightly called the pearl of the "Golden Ring" of Russia. 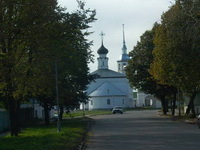 It is located 250 km northeast from Moscow. Suzdal is famous for more than 50 monuments of medieval Russian architecture, located very compactly and having a unique appearance. This is a very old city; the first mention of it in the annals is dated 1024 year. 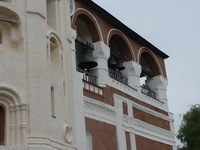 Historically, it has long been a political, religious and cultural center of Russia and, therefore, this city constantly attracts tourists from all over the world. The city has received a special UNESCO prize for the preservation of cultural values and the development of tourism. The work of the Conference Cluster 2018 will be organized on the premises of the Suzdal hotel-and-tourist complex "Suzdal", which due to its high organizational potential is the center of business and scientific events of any format. The hotel-and-tourist complex "Suzdal" is a hotel with comfortable rooms, restaurants, bars, health and entertainment events and congress centers. At the moment, guests are offered a big swimming pool and a sauna, a gym and a solarium, bowling, billiards, massage and beauty parlors, a SPA-salon with the latest types of water therapy procedures, mud therapy and massage programs, and a number of other additional services.